American Cruise Lines has announced details for the first of a new class of five modern riverboats destined for America’s rivers. The first in the series is scheduled to begin service in 2018 and will carry 200 guests. At 345 feet long, the new riverboat will combine the modern styling of a European riverboat with premium comfort, and will feature the largest staterooms on the United States’ rivers, with private balconies and hotel-size bathrooms. Construction has already begun on the new modern riverboat at Chesapeake Shipbuilding in Salisbury, Maryland. In addition to the new class of modern riverboats, American Cruise Lines is building two additional cruise ships at Chesapeake Shipbuilding. 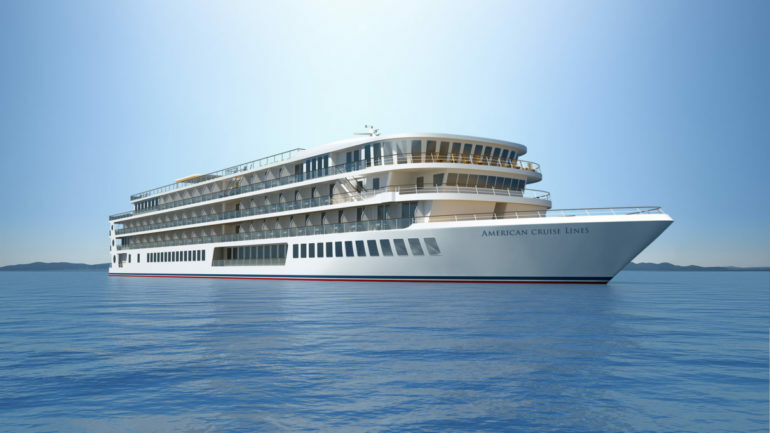 American Constellation has a capacity of 170 passengers and is scheduled to begin cruising in May 2017, and its sister ship will begin cruising in 2018.